While a Gates Cambridge scholar in the Department of Veterinary Medicine at the University of Cambridge, Dr Kamins focused her research on the intersection of animal, human and environmental health. 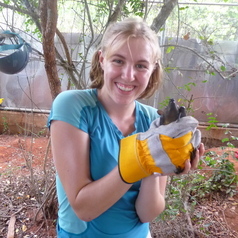 Alexandra completed her PhD in Veterinary Medicine at the University of Cambridge in 2013, exploring fruit bats as food in Ghana and the resulting public health, conservation, and development challenges. Her dissertation brought together social and biomedical research together to help understand how bats and humans interact and the subsequent risks of zoonotic spillover. Her passion for improving health continues into her current research position, where she works to provide insight into Colorado and America's health care system.